The Clip Key makes putting clips on or off much easier and faster. If you have any wrist trouble or just want to make clipping easier, this is the tool for the job. The Clip Key eliminates the flexation of the wrist which, for me, keeps it from aching. All ages (from 5 to 105) use this tool. All sizes of acreages use this tool, varying from several thousands of acres to small acreages to yards. Many women and children also use this tool. 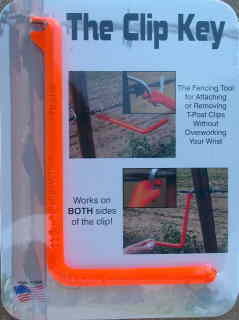 If you have the capability of getting this fencing tool "out there" and known about, it will take off like wild fire. We have been going to farm shows with this tool since 1998 and it has done very well but is still known by very few people. It is a great tool made in the great USA. Thanks for your interest in "The Clip Key"
You can contact me at 405-612-4938. 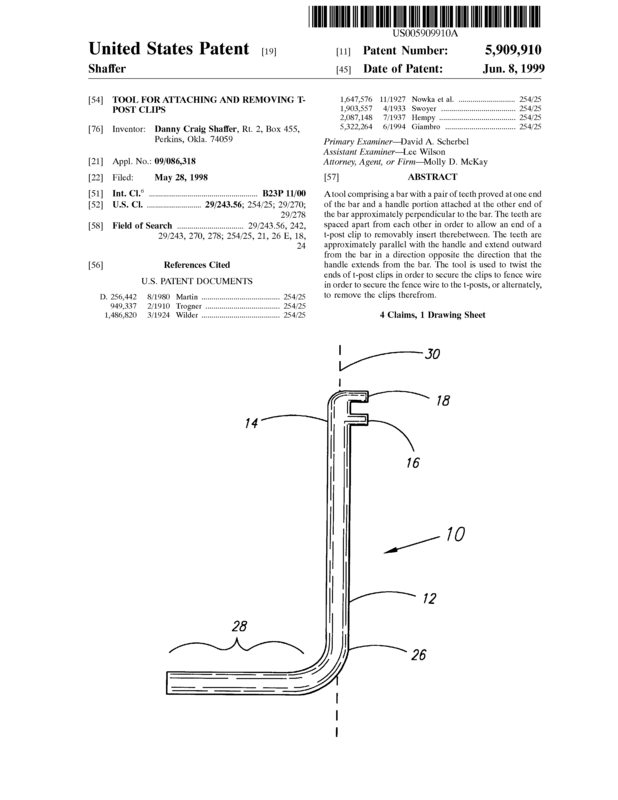 Page created at 2019-04-26 5:59:04, Patent Auction Time.